Admission to the Doctor of Veterinary Medicine program at NC State Veterinary Medicine is competitive. To maximize your chances of acceptance, we recommend you carefully read through the current eligibility criteria and follow the steps in the application process. Whether you’re a student, advisor, pre-applicant, or just someone interested in the profession of veterinary medicine, The Pre-Vet Advisor, created by the Association of American Veterinary Medical Colleges (AAVMC), offers helpful information. Previous newsletter issues provide useful data, information and profiles. The University complies with all Federal and State statutes regarding nondiscrimination. While applications for nonresidents are accepted, distinct admission priority is given to residents of North Carolina. To determine if you qualify, or what it takes to qualify, as a resident of North Carolina read the information here. All prospective clinical students from St. George’s, St. Matthew’s or Ross, please read this information. Our student-led tours, offered on a regular basis throughout the year, are one of the best ways to get a glimpse at our world-class facilities, meet our students, and get a sense of our community. More about our tours, times and dates. Applicants are evaluated on their academic performance, their understanding of the veterinary medical profession, their achievements, and their professional potential. Pre-veterinary students can pursue any undergraduate major they choose, and the required pre-professional courses can be obtained through the curricula of a number of fields of study. An undergraduate degree, however, is not required for admission. “Pre-vet” is not a major; it is a track that can be chosen within a major. Popular majors for pre-professional students include animal science, poultry science, zoology, biology, biochemistry, and microbiology. Applicants must only complete prerequisite courses to fulfill academic admission requirements. What do you need to be eligible for acceptance? If you have any questions, please email us at dvminformation@ncsu.edu or call us at (919) 513-6262. NOTE: the criteria for admission to the College of Veterinary Medicine are determined and reviewed periodically by the Dean and the Faculty Committee on Admissions. 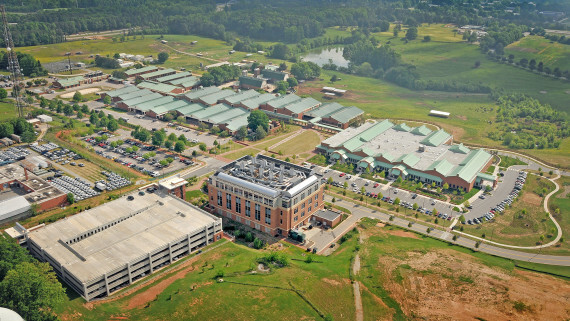 The Admissions Committee is comprised of faculty from the College of Veterinary Medicine with representatives from the North Carolina Veterinary Medical Association, the North Carolina State University College of Agriculture and Life Sciences, and the University of North Carolina system. Changes in the admissions process may be made without announcement as a result of continual review by the Faculty Committee on Admissions. NOTE: The supplemental application occurs BEFORE the VMCAS deadline. INTERNATIONAL APPLICANTS ONLY – English proficiency test. The VMCAS application is processed by VMCAS. The NC State Supplemental Application is processed by the Student Services Office at NC State CVM. The application window opens in May of each year and closes in September. Applications are reviewed in the fall and decisions are made in winter. Admitted applicants have until April 15th of each year to accept an offer of admission. Applicants are strongly encouraged to review VMCAS and NC State CVM admissions requirements before submitting an application. NC State Supplemental Application – September 21 of the admissions cycle year (unless it falls on the weekend; the deadline then moves to the following Monday). Make sure to save and submit before 1:00pm ET. It is the applicant’s responsibility to access the supplemental application and submit it online by the deadline. It is also the applicant’s responsibility to pay the non-refundable $60.00 supplemental application fee when the supplemental application is complete and prior to the deadline. Instructions regarding the online fee payment are included with the supplemental application. We suggest using Internet Explorer or Mozilla Firefox as your internet browser. Applicants have experienced problems with other browsers. Applicants should also update the Student Services Office with any contact information changes during the admissions cycle. NOTE: All application materials become property of the NC State CVM Student Services Office upon submission. Applicants will not be provided access to materials at any point during or after the admissions cycle. If an applicant is admitted and matriculates to the NC State CVM, then relevant FERPA regulations apply. All applicants must submit transcripts of completed coursework. In addition to processing applications, VMCAS also verifies transcripts. In order to allow enough time for the transcript verification process, we suggest you submit your transcripts by August 15 (this is the requested due date; not the postmark date). For details on what courses are required read our eligibility criteria. If you are completing coursework in the fall semester you are required to submit fall official transcripts to NC State (not VMCAS) at the completion of the semester but no later than mid-January. Due to the volume of applications received, exceptions to this deadline will not be considered. Applicants, who are offered admission, and are completing courses in the spring semester of the application cycle must submit official transcripts to the CVM Student Services Office by June 1 showing conferral of degree, completion of courses (whether prerequisites or not), or both (if applicable). Applicants may not complete prerequisites the summer session(s) immediately preceding matriculation (if admitted). Carefully follow the VMCAS transcript submission directions as a new verification process has been implemented. All transcripts must be mailed to VMCAS. Do not send your transcripts to NC State College of Veterinary Medicine. VMCAS will match your coursework line by line against your official transcript to ensure you have correctly entered your courses. We encourage you to submit your application early. You must submit official transcripts of ALL post-secondary coursework regardless of the number of courses completed at one institution or whether the courses fulfill or don’t fulfill prerequisites. Official transcripts must arrive in sealed envelopes prepared by the granting institution. Submit one transcript per institution by the deadline. Submit another transcript for any courses completed in the fall of the admissions cycle. Admitted applicants will be required to submit final spring transcripts or any transcript verifying receipt of a degree. If courses taken at one college have been transferred to another college, you must submit official transcripts from both institutions if all of the courses are not listed with grades on the accepting college transcript. Applicants completing coursework in a Study Abroad program must follow the VMCAS Study Abroad guidelines. NC State University undergraduates, graduate students and non-degree seeking students must request an official transcript from the Registration and Records Office to be sent to VMCAS. Fall and Spring transcripts (if your are accepted or wait-listed) should be sent to: NC State University College of Veterinary Medicine, Student Services Office, 1060 William Moore Drive, Box 8401, Raleigh, NC 27607. Student grade reports and other unofficial documentation will not be accepted in lieu of official transcripts. Any candidate submitting fraudulent information, omits academic history or fails to include required materials will be disqualified immediately. Electronic transcripts: if your issuing institution has the ability to send electronic transcripts, have them sent electronically to dvminformation@ncsu.edu. International applicants, as well as US resident applicants attending colleges outside the United States must have all international academic transcripts evaluated by a credentialed evaluation service. Applicants should use World Education Services in order to have the credentials verified by VMCAS. All applicants are required to complete the Graduate Record Exam, GRE®, prior to the application cycle. MCAT and DAT scores will not be accepted in lieu of GRE Scores. 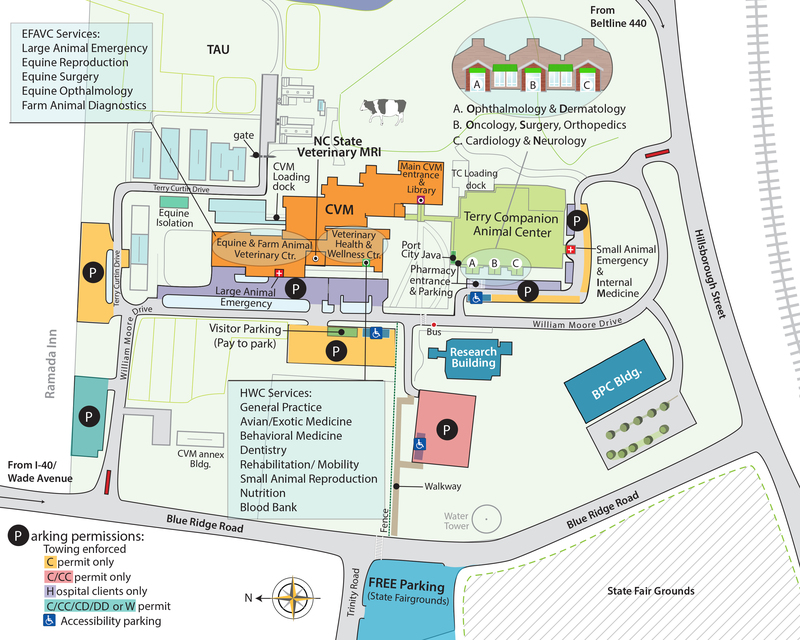 The ETS code for NC State University is 5496 (no department code is used) and the NC State CVM code is 2250. You may use either code but applicants will only be able to verify receipt of GRE scores through VMCAS by using the 2250 code. GRE results must be received electronically by NC State University on or before September 17 at 11:59pm. Therefore, it is recommended that you take the test no later than August 15 in order for the complete scores to reach us by the September 17th deadline. Scores are sent from ETS to NC State electronically. Paper copies of GRE scores submitted by applicants are not accepted. Scores that arrive electronically after the September 17th deadline will not be accepted. For details on what comprises a competitive GRE score, read our eligibility criteria. If you are an international applicant, or a US resident (regardless of citizenship) attending college outside the United States you must also submit proof of English proficiency. VERIFY! We highly recommend you verify receipt of your materials through your VMCAS portal. Following the application deadline, the Student Services Office will verify receipt of credentials as part of the application verification process. This could take several weeks. Please note that it is your responsibility to submit all required credentials in advance of the deadline to avoid potential delivery issues. Due to the volume of inquiries and applications, we do not verify credentials over the phone. You may contact the Student Services Office at dvminformation@ncsu.edu if you have any questions concerning the admissions process. We will respond to your inquiry as soon as possible during regular business hours, Monday-Friday, 8:00 am-5:00 pm.